Teresa Calderón sees her work as a “travelogue from unexpected territory”. 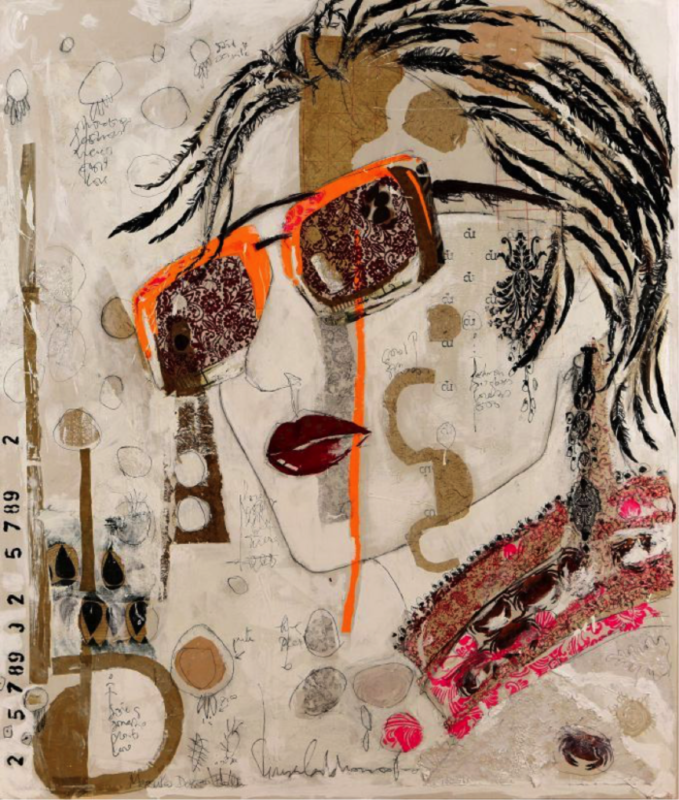 She creates large-scale naïve-style collages from couture fabric and handmade, natural papers. These materials are sourced all over the world, directly from craftspeople. Born in Spain in 1970, Teresa graduated in 1994 from IADE School of Design, as a Fashion and Graphic Designer. She then dedicated her efforts to exploring the possibilities of painting, until finally joining the Faculty of Fine Arts at the Complutense University in Madrid. Often densely patterned, the fabrics and papers Teresa uses are juxtaposed with gestural line, pigment and areas of gessoed white canvas. Her collages explore the balance of colour and the relationship between positive and negative space. Unexpected connections form between clashing textures and motifs, and between the regularity of pattern and the spontaneity of graphite line and improvised colour. 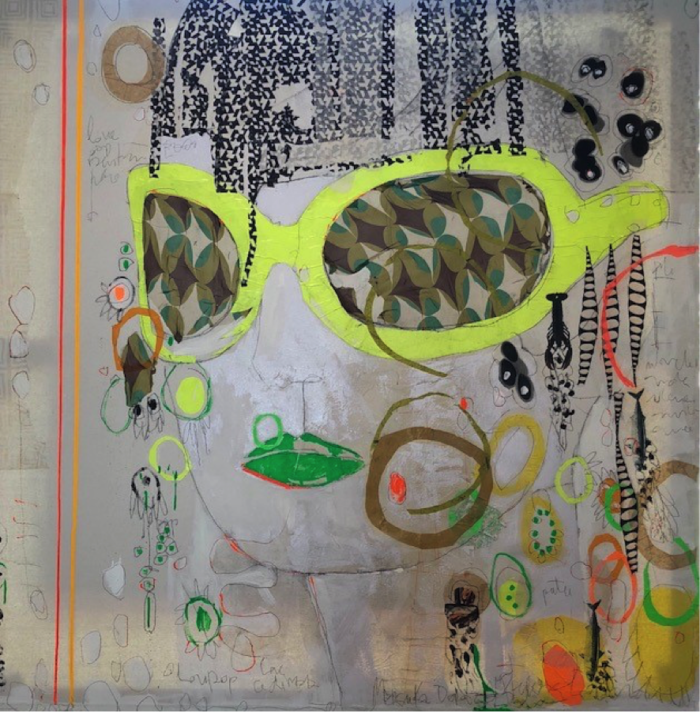 Teresa’s works have been exhibited extensively in the UK, America, Canada, Singapore, Hong Kong and Europe. She had her first solo shows at the Rebecca Hossack Galleries in London and New York in 2017.